Photo editing apps are very essential if you love to click pics. People love to put their best pics on Facebook, Instagram, Twitter and many other social networking websites. Sometimes you need to give special effects in your pictures and you can’t do that with your originally installed iPhone image editing software. These special effects can only be given by photo editing apps available on iTunes. There are many best photo editing apps which are at the top of the list. 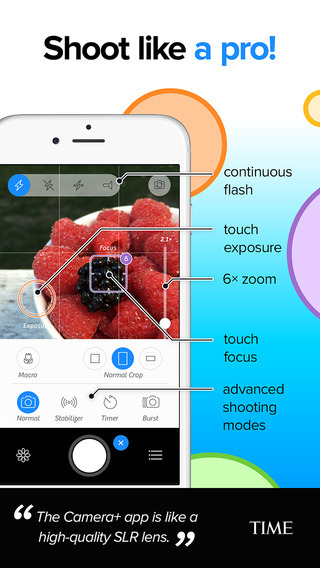 We have picked 11 best photo editing iPhone apps. All features are always present in the paid apps and hence all apps listed here are paid. You can use these photo editing apps in your iPhone 6, 6 Plus, 5S,5C and even older models of iPhone. You won’t get disappointed as thousands and thousands of users are already using it. These apps have a close to 5 star rating on iTunes. 1. AfterLight – Given the number of editing options in the app, it stands out of the crowd and takes the no. 1 spot in our list. Get it now and enhance your images like never before. It’s available in just $0.99 cents. It will be the best 99 cents you ever spent on any app. 2. 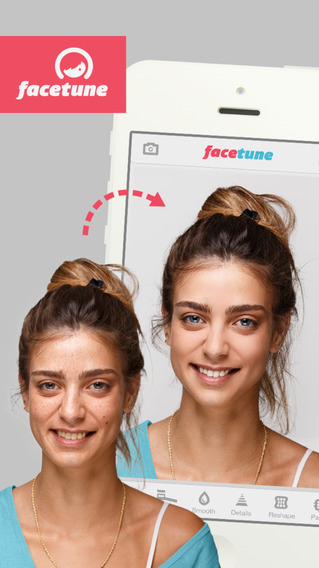 FaceTune : It’s one of the best touch up iPhone app ever. You will be amazed by this apps ability to touch up your skin and make it look like a Hollywood style. It has been praised by celebrities as well. It’s more like a mobile Photoshop. It’s available in $3.99 on iTunes. 3. Camera+ – It’s one of the most amazing camera and photo editing app on iTunes that you can have. The editing modes, advanced shoot modes, continuous flash, touch exposure and many other features make it stand out of the crowd. 10 million copies has been sold. It’s available in just $2.99. 4. Superimpose – This app surely stands out as the effects and filters provided are totally different from other apps. 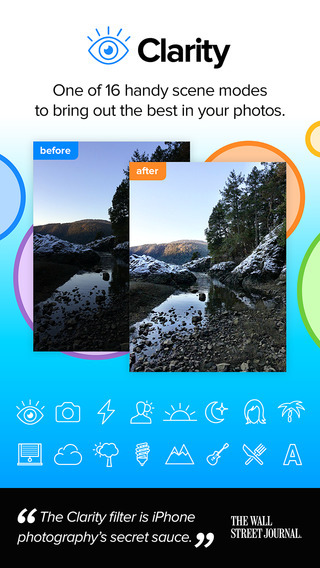 With more than 4.5 star ratings, it’s one of the top photo editing iPhone app on iTunes that you will surely love. It’s available in just $0.99 cents. 5. A Beautiful Mess : Over 1 million installs of this app totally justify it. Although there are problems being reported by many users but still the features and functions provided by this app are awesome and you gonna love it. It’s available in $0.99 only. These are our top 5 image editing iPhone and iPad apps. Here we are listing another 6 apps that you can check out. All of them have awesome features. However it totally depends upon you as which one suits you the best. This entry was posted in Best iPhone Apps 2015 and tagged Best iPhone 5 Photo Editing App on iTunes, Best iTunes Photo Editing Apps 2015, Best Photo Editing Apps for iPhone 6, Top Image Editing Apps for iPad 2015, Top Image Editing Apps for iPhone 2015, Top Image Editing Apps on iTunes 2015, Top Photo Editing Apps for iPad 2015, Top Photo Editing Apps for iPhone 6 Plus, Top Photo Editing Apps for iPhone Instagram on February 21, 2015 by satyenhacks.